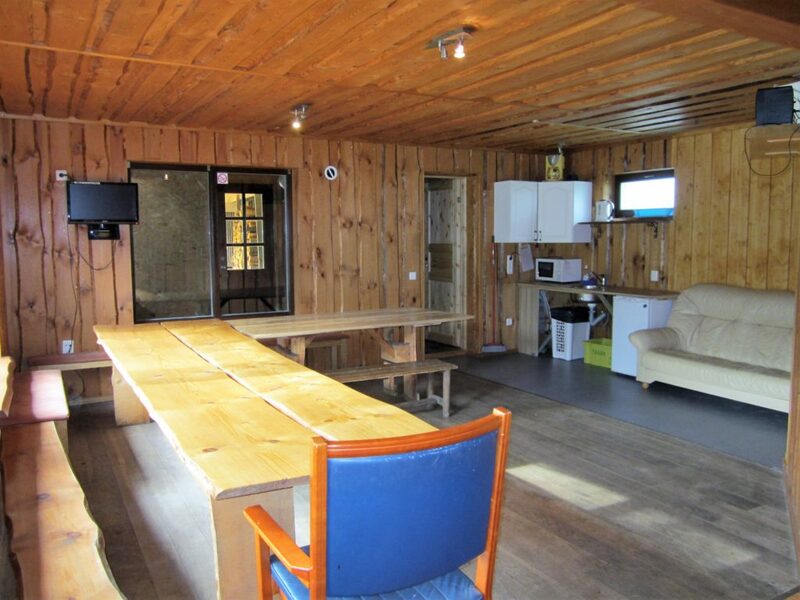 The party venue in the Finnish House accommodates about 30 people. 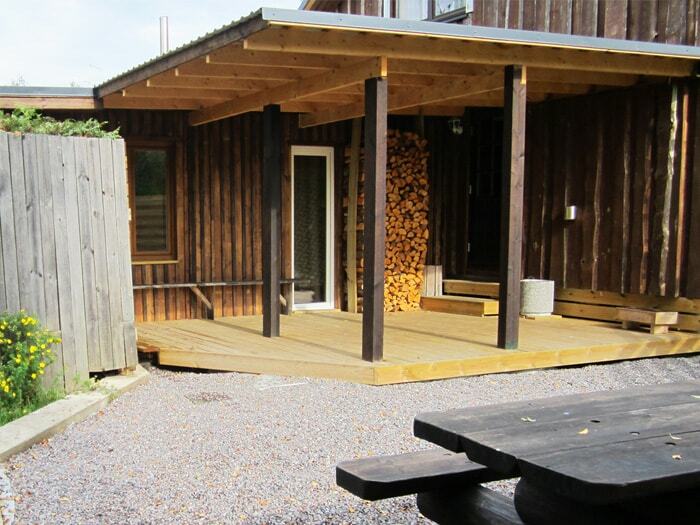 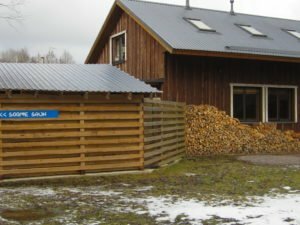 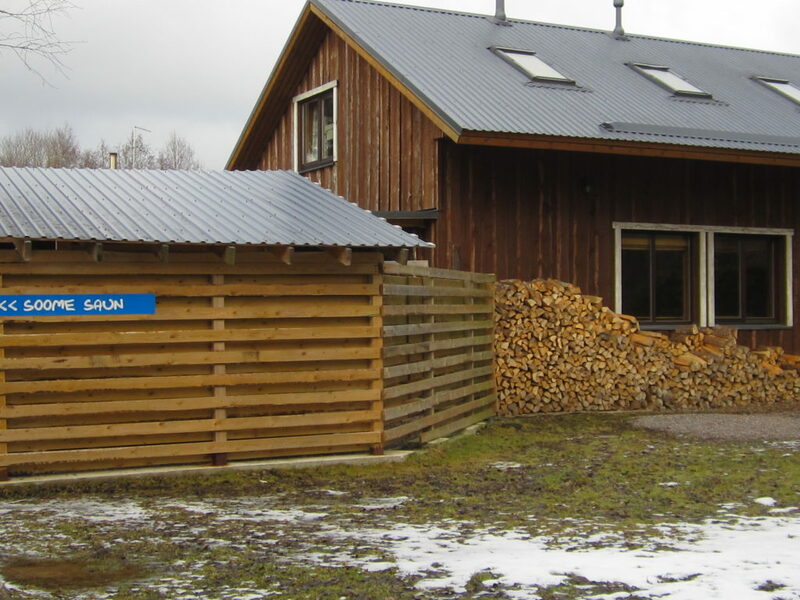 There is a wood-fired Finnish sauna. 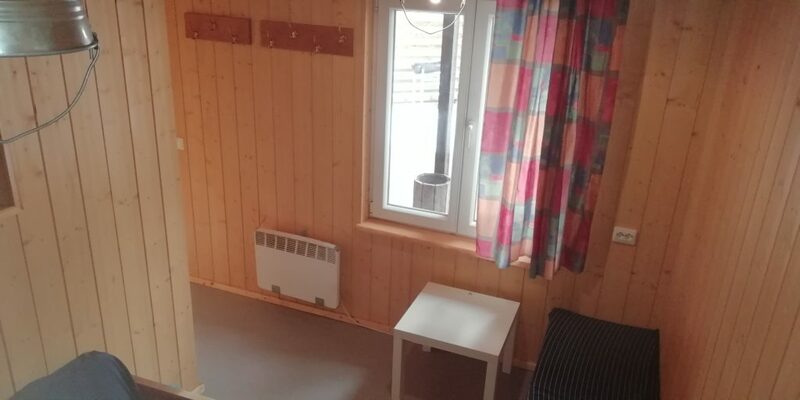 There is also a kitchen, shower, WiFi, radio, and TV. 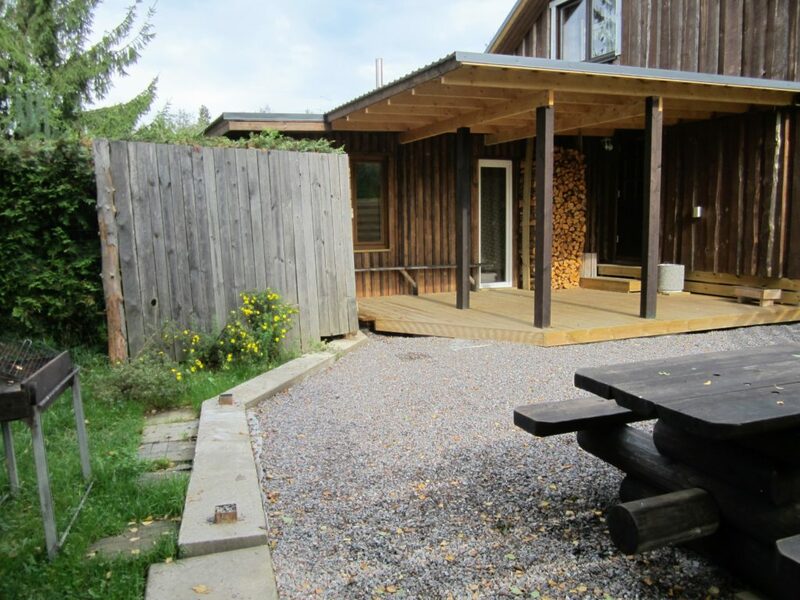 There is a furnished outdoor terrace perfect for a barbeque. The kitchen is equipped with a coffee maker, kettle, refrigerator, microwave, and stove. However, you should bring your own dishes. 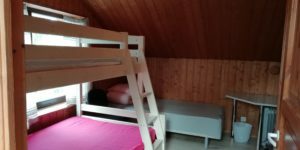 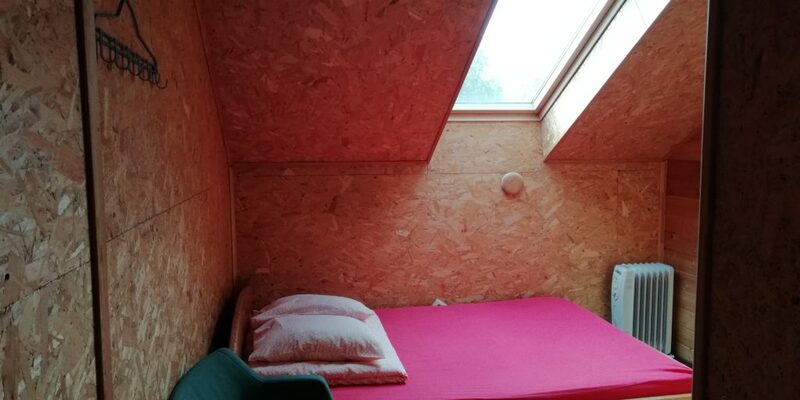 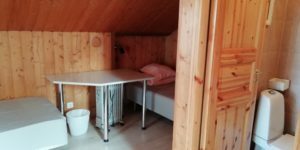 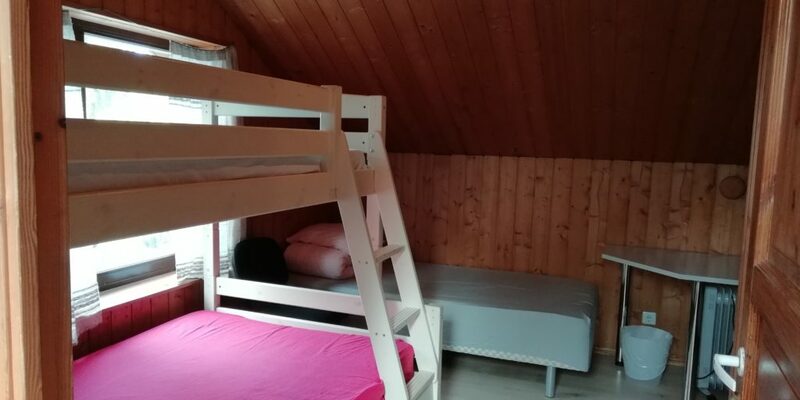 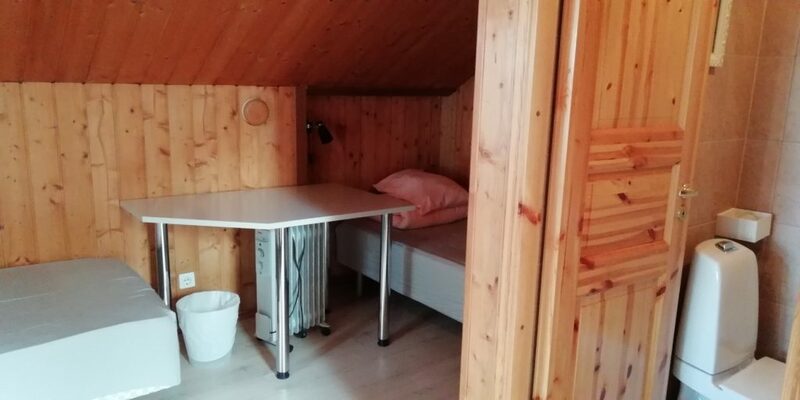 There are two bedrooms in the Finnish house – enough for 10 people. 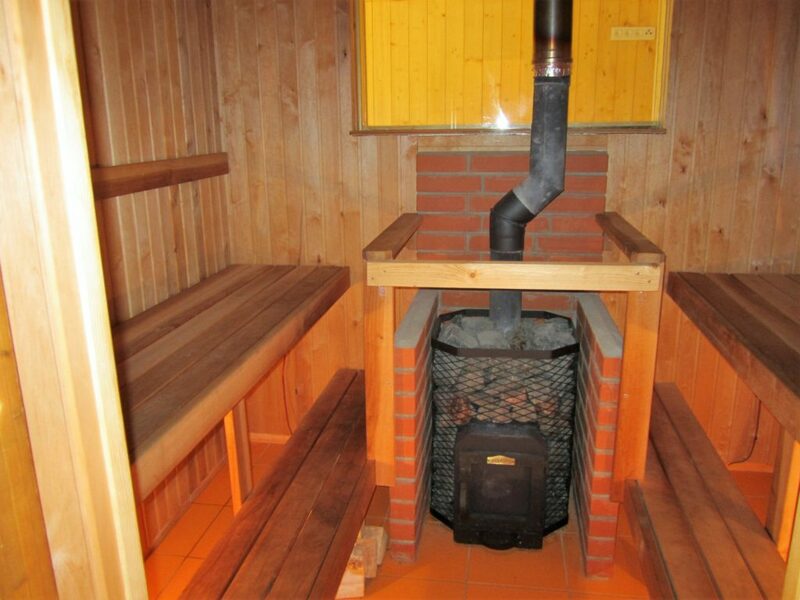 In addition, you can use the folding sofa in the sauna lobby.